Posted on October 31, 2017 by Smorgasbord - Variety is the Spice of Life. Welcome to the next post from the Archives of blogger and book reviewer Rosie Amber. Apart from reviewing books online on her blogs and social media, Rosie has a YouTube channel that I suggest you head over and check out. This week Rosie shares two books and suggests that if you liked one you would also like the other…this was a post that started a series by Rosie and her team of reviewers to give you double the reading pleasure earlier in the year. Welcome to a new feature on Rosie Amber, in which my team and I will make reading suggestion for you, based on your favourites, be they classics, or newer best sellers. Our recommendations consider not just genre, but writing style, plot—and that ‘feel’ you can’t quite put your finger on! First of all I’d like to tell you about a book I’ve read recently, which gave me the idea for this feature. Feel Me Fall by James Morris. A plane crash strands six students in the Amazon jungle, and the beliefs, friendship and trust between them is challenged. One character takes on a leadership and survival role, another is the voice of human reason and compassion. All six discover aspects of their personalities that they had not known existed until placed in this survival situation; it brought both the best and worst of their natures to the fore. How do you think you might react if pushed to make decisions for the greater good? Would you base your decisions on survival of the fittest? When I read Feel Me Fall, my immediate reaction was that it reminded me of Lord of the Flies, and I noticed that other readers had made similar comparisons. As for Animal Farm ~ the well-known phrase ‘all animals are equal but some are more equal than others’ flitted through my head all the time I was reading it! The Beach was itself compared with Lord of the Flies when it first came out. If you would like to take a look at Feel Me Fall, you can find it on these links or click on the cover. How would you survive in the Amazon? Thanks to Rosie for sharing this start of a new series on her amazing review site earlier in the year. And if you can think of two books that you have read recently that fall into this category, please put them in the comments for us. Thank you for stopping by and taking a break from the chaos of life. Take the weight off of your feet for a while and find something about your day to smile about; thank you for becoming part of my world, if just for a minute or two. It’s a shame you can’t smell the roses, but if you take a virtual stroll around I hope you’ll find a book you might like to curl up with, some useful advice if you’re a writer or blogger, or one of my more personal pieces that you may find interesting. I was brought up in the beautiful Hampshire countryside. I am married with two children and juggle part-time work with full-time motherhood. I started blogging to combine a love of reading with a desire to embrace social technology; since then it’s developed into a passion to introduce avid readers to new writers, and offer a platform for little-known talent. I review nearly all the books that I read, and post to Goodreads and Amazon US and UK. Aside from this blog, you’ll see my reviews posted on Facebook and Twitter. I’ve even branched out to do 90 second YouTube book reviews to try to reach the reading youth of today. I take submissions for my personal reading list, and also have a review team with approximately 30 active readers; if you would like to submit your book, please click the ‘Your Book Reviewed’ page, above. I am so grateful for the support from visitors to my blog, and all you have done to spread the word about it on social media, not least of all nominating me for online blog awards. I was proud to be awarded runner-up in ‘Best Book Blog’ award in 2016, in the hugely popular and far-reaching Bloggers Bash, and third place in 2015 and 2017. The Rosie Amber blog is an ever-growing, ever evolving entity, and my wish is to continue to provide a great service to readers, writers and blog addicts everywhere. If you would like to share some of your archive posts from when you began blogging, then please send up to four links to sally.cronin@moyhill.com. Please do not send self-promotional book posts as there are several other ways to promote your books here. I am looking for posts on life, relationships, health, creative writing, food, music and travel.. If you have a short story to share that is great too. Thank you for dropping by and look forward to your comments for Rosie. Posted on July 14, 2017 by Smorgasbord - Variety is the Spice of Life. I am a reader first and a writer second. However, these days there is not a balance between the two.. 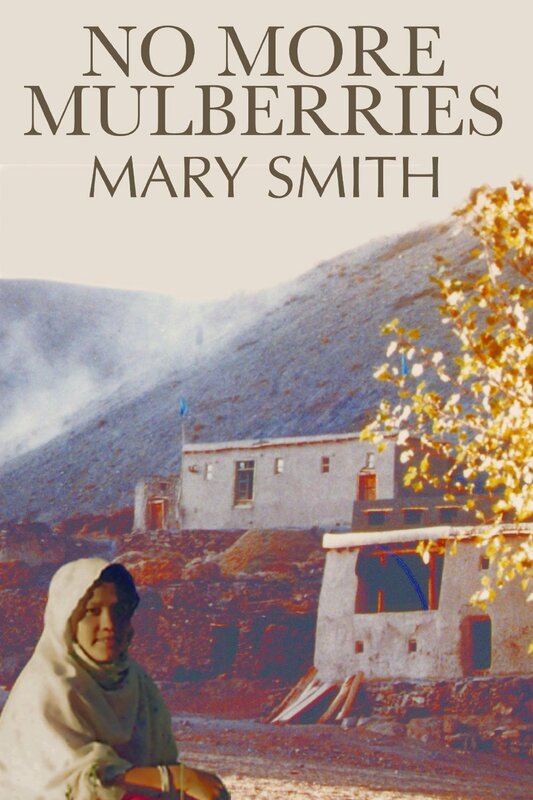 I have been intending to read No More Mulberries by Mary Smith for some time and took the opportunity to download during her free offer recently. There are an impressive number of excellent reviews for the book and I knew I was not going to be disappointed. Posted on April 18, 2017 by Smorgasbord - Variety is the Spice of Life. And it is going to be a request for a review – good or bad, and I will lay out some basic questions that might help develop a review that is constructive. Thank you for reading my book and it would mean a great deal to me if you could give me your opinion. Not only will this let me know what you feel about my writing in general, but potential readers will also value your feedback. Finally I would be delighted to hear from you by email sally.cronin@moyhill.com about the book. What will really help me in my future writing is to know some of the following in your review. What did you like or dislike about the style of writing? What did you enjoy about the plots of the stories or of the novel? How did you feel about the main characters and were they believable? Was there a particular story in a collection or episode in the novel that you specifically enjoyed. What were your feelings when you finished the book? Were you satisfied, wanted more or unsatisfied? Did you like the cover and how the book was laid out inside? Was it easy to read? N.B. I appreciate that you may not feel comfortable in leaving your own name on a review, especially if you need to offer constructive criticism. I suggest that if you read a lot of books that you create your own pen name for your reviews. It can be as simple as Avid Reader or a fictional name. That way your identity is private. I believe that all authors should put some version of the above at the end of their books. It gives the reader permission to offer their opinion and also shows them how to do so constructively. I am sure that there will be some reviews that we have encouraged that may not be all positive, but I want to become a better writer and I can only do that if I have honest reviews. I do hope that if a reader is very disappointed they will email me to let me know first but I also think that it might just encourage hesitant readers to come forward and help us sell more books. In the meantime I am going to add a note to my author’s page on Amazon requesting reviews for my current books and adding a link to this post.. Who knows! Posted on May 12, 2016 by Smorgasbord - Variety is the Spice of Life. When British freelancer Maurice Oldham saves American scientist Lori-Ann Beaumont from a pack of journalists at a ProLife conference in San Francisco, neither expects to see the other again. But six months on, Lori-Ann is on Maurice’s doorstep, bruised, penniless and desperate to find her boyfriend, Peterson, who has gone missing in England. Maurice soon realises nothing is as it seems with Lori-Ann. Why is she chasing Peterson; why has her father, Pastor of the Church of Science and Development sent people to bring her home; what is behind the Federal Agency who is investigating Lori-Ann’s workplace in connection with its use of human embryos; and what happened in Nicaragua a quarter of a century ago that is echoing down the years? For Maurice and Lori-Ann the answers lie somewhere in their Fathers’ pasts. Finding those answers will take Lori-Ann and Maurice from England via America to Nicaragua; in so doing they will have to confront some uncomfortable truths about their Fathers and learn some surprising things about themselves. “My Father and Other Liars” is a thoughtful book full of twists and complex characters. 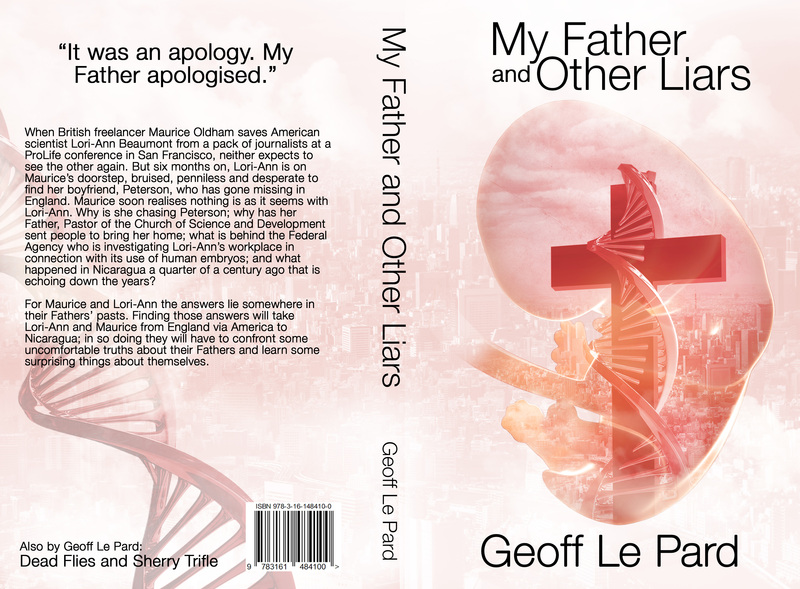 The way author Geoff Le Pard develops characters to be both flawed and evocative is becoming a hallmark of his writing. 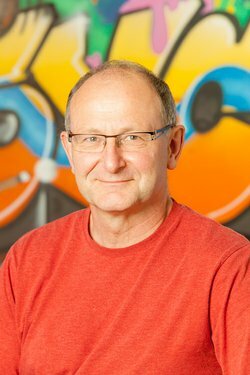 The suspense in the book rises from a multitude tensions at the heart of which is political intrigue in regards of the use of stem cells in research. One of the thought-provoking aspects of the story is the crossroads between theology and science. It’s handled in such a way as to be believable and not offensive (unless one has a highly sensitive nature in regards to religion used as a medium in fiction). The author even shares (at the end of the book) how he developed his fictional theology. Another tension arises from the idea of adult orphans and those who have absentee-fathers or poor relationships. It’s a theme that crosses global borders just as the book itself is set in England, America and Nicaragua. The pace is steady and picks up so that it is hard to deny the next chapter. 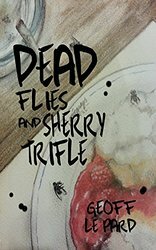 This is the second published novel by Geoff Le Pard and while it is different from his first, “Dead Flies and Sherry Trifle,” his voice comes through as a writer and someone I will continue to follow as a reader. I was on team Lori-Ann from the first page on. Mr. LePard’s book masterfully encompasses several settings. He pulls off the complicated challenge of a religious thriller in which the main characters find mirror images of their own family issues in each other’s story. I would highly recommend this book to anyone. But don’t read it at night — your mind will race too much and you’ll keep pulling it off the shelf until the sun comes up. I have been writing creatively since 2006 when at a summer school with my family I wrote a short radio play. That led to a novel, some more courses, more novels, each better than the last until I took an MA at Sheffield Hallam, realised you needed to edit, edit and then edit some more; the result is my first published book in 2014. I once was a lawyer; I am now a writer. When I’m not writing and thinking about writing, I’m blogging (which is a sort of writing); I cook, I walk, I read (but not enough) and I walk some more. The dog approves of my career choices.